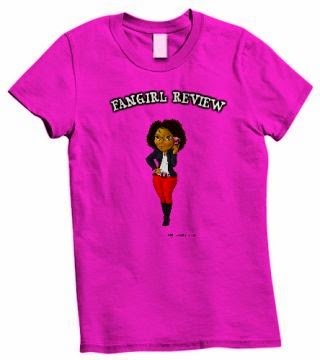 Fangirl Review: Gotham S.1 Ep. 2 "Selina Kyle"
Gotham S.1 Ep. 2 "Selina Kyle"
Show starts with Bruce Wayne purposely burning his hand and being yelled at by Alfred who is afraid for him. 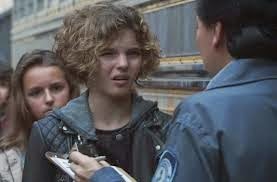 We see Selina and other youth being attacked by some crazies but she gets away. Gordon shows up to the crime scene the next day and sees the homeless man that was killed. Bullock is a jerk about it and Gordon is upset that it was vet. Gordon interviews the other boy that runs away and he is explaining what happened. Cobblepot now has a limp and is hitch hiking. He is talking crazy and then goes crazy when the drives says he walks like a penguin. He promptly kills one of the guys. Bullock and Gordon explain to the chief what is going on. Nygma shows up and explains the boy has a medication in his system that knocks people out quickly. Apparently it is a drug that was used at Arkham Aslyum. Falcone shows up to Fish Mooney. He says that he worries about the power vacuum now that the Wayne's are gone. 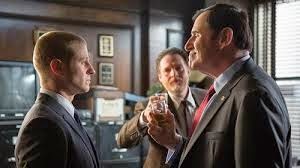 Falcone threatens and beats up the guy that he knows Fish Mooney was sleeping with. You can tell that she is upset by it. Internal Affairs show up to interview Cobblepot's mother. They believe he was killed and want to find out what happened. 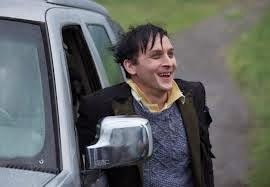 Cobblepot turns at a farm and rents a trailer from the guy. The kids wake up in some dungeon type place. Gordon and Bullock show up to ask Mooney about the kids. She says there is a buyer overseas that wants the kids but does not know anything specific. The creepy couple work for the Dollmaker. Gordon and Bullock show up to one of the makers of the substance and they come face to face with the creepy couple. Gun shots are exchanged but the couple gets away. Luckily the kids are saved. The Mayor makes a speech about how they will do something for the homeless kids. He plans to get kids off the streets and into juvenile services. We see poor Selina being taken away. The real plan is to send the good kids to foster homes and to send the other kids upstate to a correction facility. Alfred visits Gordon and asks Gordon for his help with Bruce. Turns out the creepy couple is on the bus taking the kids upstate. The Mayor is upset that the bus was taken. Gordon and Bullock are determined to find the kids. Selina is able to escape from the bus. Selina scratched out the eyes of one of the captors. It was very creepy. Selina sadly drops her locket and is caught. Luckily Gordon shows up. Gordon shows up as Alfred requested. He wants Bruce to talk about what he saw and to stop hurting himself. Bruce wants to help the kids and at least knows he can give them clothes. Selina refuses to go upstate and wants to talk to Gordon. Cobblepot tries to use the guy from the truck for ransom but his mother refuses to pay. Selina tries to work with Gordon to get from going upstate. She informs him she has been watching him. She says she knows who really killed the Waynes. My Thoughts: Bullock is too over the top. He is playing the bitter corrupt cop too much. The show was a bit all over the place. I think for this episode they did not need to have the Cobblepot parts. It was unnecessary filler. 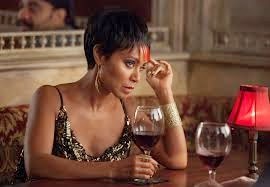 Plus they are pushing the importance of Fish Mooney too much as well. The show needs to slow down and become more focused. The show wasn't bad but it will not last long if it keeps this pace.